‘Punk football’ as noted by Keoghan (2014) is ‘to unite the collective strength of the supporters to raise as much money as they could to help the [football] club out financially.’ Although, Jim Keoghan’s book ‘Punk Football: The Rise of Fan Ownership in English Football’ has looked at the rise of fan ownership within an English context, increasingly mainstream literature has been fixated upon foreign model’s of fan ownership with Germany (Davidson, 2014), Spain (McTear, 2015) and a more general outlook of fan ownership in Europe (Kuhn, 2011) being modern examples of fan ownership rather than the commercial model often found within most clubs. But what of Italy? Whilst there is a long history of ownership complexities in ‘Lo Stivale’, the case of a fan group of Fiorentina is particularly compelling. Indeed, Chloe Beresford article in The Guardian (2015) entitled How CS Lebowski fans set up their own football club … and honoured The Dude shed light on this movement. After reading this story, I have decided to research CS Lebowski as part of my Msc dissertation. Here are some of my initial findings of my research. Hamil et.al (2000) have written, that faced with outside financial pressures from sponsors and media, there was a real danger that football might serve the interest of those outside the game and weaken the links between football clubs, supporters and their local communities. In many ways, this seems to have happened within England, creating a proliferation of fan owned clubs, with David Goldblatt (2015) stating that perhaps, most interestingly of all, a new wave of clubs has begun to emerge: the DIY self-build solutions, the fan-created clubs that have risen up the football ladder like AFC Wimbledon and FC United of Manchester. In an era that liked to think of itself as an urban renaissance, a time of regeneration when the dilapidated social and physical capital of the nation would be rebuilt, these experiments are the smallest but greatest successes. Although AFC Wimbledon and FC United are seen as the doyens of fan ownership within England, there has reportedly been problems with how different parts of the fan ownership should proceed in the future. 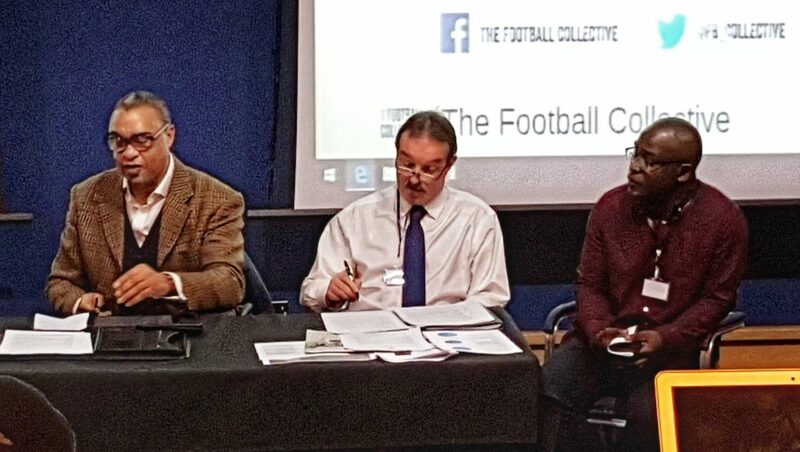 Kennedy (2015) reiterated this point, noting that the evidence indicates that this organisation has conflicting functions: on the one hand, it is a means of sustaining football as a community asset; on the other, it is a way of promoting football as an economic asset, where the result (if not necessarily the explicit aim) is more an attempt to consolidate the commodity structure of the football industry than to actually consolidate the community structure of football. Therefore, coming from the English approach to fan ownership I wanted to look at other European models. Much has been written on St.Pauli (Davidson, 2015), while in Spain the example of Real Oviedo and Eibar have been held up as examples of successful fan ownership. Italy though, seemed to have little coverage, even though Kennedy added that in Italy, Sport for All: Italy (Unione Italiana Sport per Tutti) has played a role in the development and growth of the Italian supporters’ trust movement. Therefore, Beresford’s article seemed to stroke some fires and resonance for several reasons. Firstly, Foot (2010) has pointed out that the myth goes, that the Italian precursor to football was created in sixteenth century Florence, called ‘calcio’. So, their is a historical reference to my field research later this year. Secondly, I was interested in Beresford’s article pointing out that CS Lebowski was ‘The idea of a new club was dreamed up by three friends sitting on a bench’, which is how Juventus were formed in the late nineteenth century (Digby, 2015). Finally, like many fan owned clubs, CS Lebowski have seen the growing chasm between club and fans and feel the need to “battle over who is master of the game”. I am intrigued to explore just how some of these former Fiorentina fans feel about CS Lebowski, especially its uniqueness. I would also like to see how their horizontal business model stands up, especially as in the last year they have had a social media drive that anyone who pays an annual €20 membership has a say in the running of the club and the decision-making process is democratic. A recent example of this egalitarian approach, meant members could choose the team’s new kit colours via a democratic vote. *In a recent article tweet by Chloe Beresford has secured a new stadium for the team in Florence, after San Donnini [there original ground] had been designated for Rugby use only by the local authority. As I continue to complete my MSc at Birkbeck University, I will hope to share more of this story. Until then please feel free to contact me on email: lcrang01@mail.bbk.ac.uk or twitter to chat. Or speak to me at Future Football: a design for life conference in November.